World Read Aloud Day (WRAD) is celebrated globally every year on 1st February. Reading aloud helps foster love of reading and develops interpersonal, reading and listening skills. Besides encouraging reading and reinforcing vocabulary, the students used skills like social skills where they took on the responsibility to read to their buddies. They also respected their buddies when they read to them. 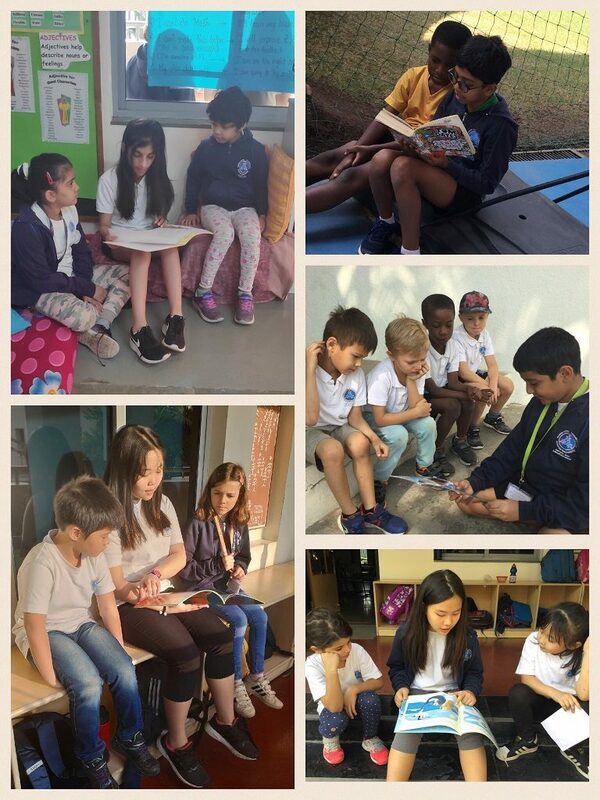 At MBIS, we celebrated WRAD by organizing read-aloud sessions between PYP and MYP students, teachers and students and peer to peer. Here are just two different read aloud events that took place on that day in MBIS. What did you like about this chapter and what was your favourite part? My buddies were new learners of English so I had to speak slowly and explain the meanings of some of the words. My buddies and I read about the river Nile and how it was the only way to get water for crops to grow. We also read about the farming ways of the ancient Egyptians and how they used animals for their daily chores. The chapter that my buddies liked the most was the chapter of mummification. Mummification is basically when the body is prepared for the afterlife. The process of mummification is a gruesome one where you have to take out the soft insides and take the brain out with a hook through the nose. Then you have to spread oil all over the body and wrap it in bandages. I really liked this read-aloud time and I hope to do this again. When my comrades and I entered the class there were not enough students for all of my classmates to have two buddies. So another peer from my class and I ended up with just one buddy. My buddy was Andre, and we read about ancient Egypt and the different Gods the Egyptians worshipped. Andre and I read about inventions the Egyptians had created, like the door lock, wigs, toothpaste, and makeup. I knew some of the names for the Gods but I knew of the shortened versions so it was a few minutes before I recognized some of the names. I was happy that my buddy was very knowledgeable and knew most of the words in the book. He noticed some things that I didn’t, which really proves the saying, “the student has become the teacher”. When we were done we thanked them for their time and asked them about what they liked about the book and about the time I spent with them. Today was a read aloud day, so we went to PYP 3 to read a book for them. My buddies were two Koreans. I read a book about the Indus Valley Civilization that Dohee brought to me for me to read. I think they were learning about Ancient Civilizations. I had to read the book to them and also ask questions to see if they understood what I had read. I asked them to read some paragraphs, they were not very excited about reading, but when they read it was good. When I was reading, they still listened very carefully. They were good listeners and concentrated on what I read. I found it difficult to pronounce some city’s names, they tried to understand what I was talking about and they understood it. Even though the book was a bit difficult for them to understand, they listened to the whole book. I asked them questions while I read the book, and they knew almost everything about the Indus Valley Civilization which amazed me. We finished the book about the Indus Valley Civilization and it was time. I said thank you to them and they did too. I liked that Adi was reading to me. He answered all our doubts/queries and we got a lot of information about Sharks. Soumya read nicely and slowly to me. She asked me questions and answered all of my questions. She taught me how to read a story. I had fun reading with them. I liked the activity of making crowns and drawing book characters on it. 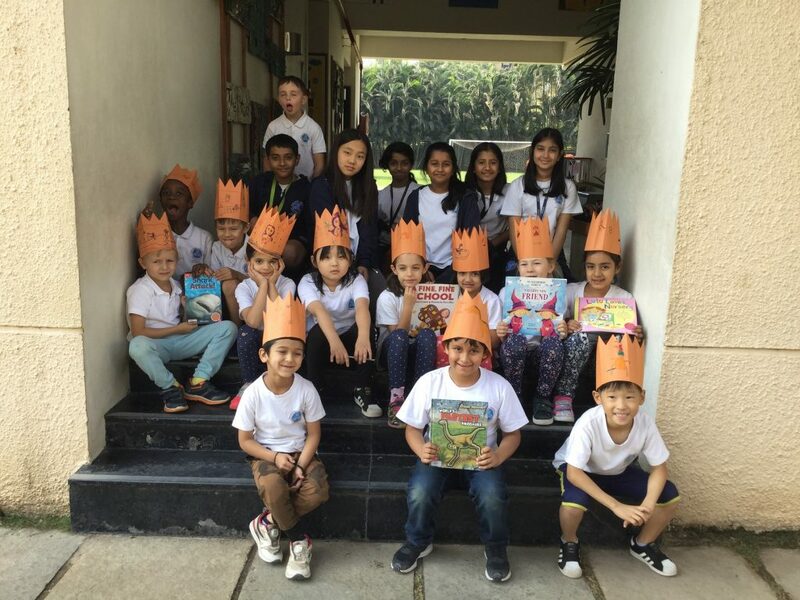 Overnight field trip - PYP 5 - 6th - 8th February 2019 ﻿Early Years Explore A Zero Waste Play Day.